Michael relocated from the northern hemisphere of California to sunny Ventura County in 2007. He then graduated from CI in 2011 with a BA in Art, with an emphasis in web and graphic design. After CI, Michael went on to complete his Master’s in Instructional Design and Technology at CSU Fullerton. 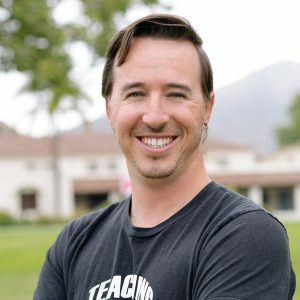 He’s been able to take his design skills and apply them to improving course design structures, while his “inner geek” keeps him excited in exploring new technologies that can be applied to the classroom. Michael holds CI culture and community close to his heart and is excited by the opportunity to bring teaching to the cutting edge.